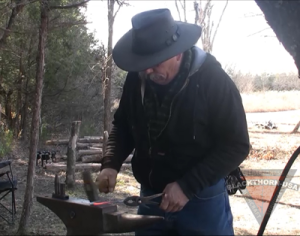 This entry level course will find students forging their very own Patch knife. Patch knives are small knives historically used to cut patches for black powder rifles. Modern patch knives are generally used as small bushcraft/utility knives. If you can make a small knife, you can make a large knife. This course will take through the steps from a chunk of steel to a finished blade. There is no prerequisite for this course but knowledge of basic hand tools is suggested. This course is limited to 8 students to assure time to complete projects. Register early for this one!